Staying on time in my clinic is always a challenge. Typical follow-up appointments for my internal medicine group are 15 minutes, which is not a lot of time when dealing with patients with multiple complex problems. I also have to deal with test results, some of which can’t wait, take calls from other doctors, do refills and other tasks. 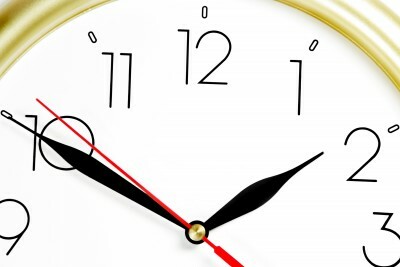 If patients show up late or have problems that take more than 15 minutes, it’s easy to run late. I had an elderly woman come in with her son. My nurse warned me that she was getting anxious because I was running late. When I walked in, 45 minutes after her scheduled appointment time, she told me they had worked out their issue. Her son had brought her in because he was concerned about some behavioral problems. While sitting in my exam room, they discussed her social isolation since moving to a new place. She was lonely being away from old friends, had no way to get around, and did not want to impose on her son. They were dealing with common issues that affect millions of people. While waiting for me to come in, they had mostly figured out on their own what was causing the problem, and agreed on how to make things better. If I had showed up shortly after they were checked in, perhaps they wouldn’t have had their insights, and I might have prescribed an antidepressant instead. That was an atypical response, but sometimes being late can be a good thing. This entry was posted in Art of Medicine. Bookmark the permalink.